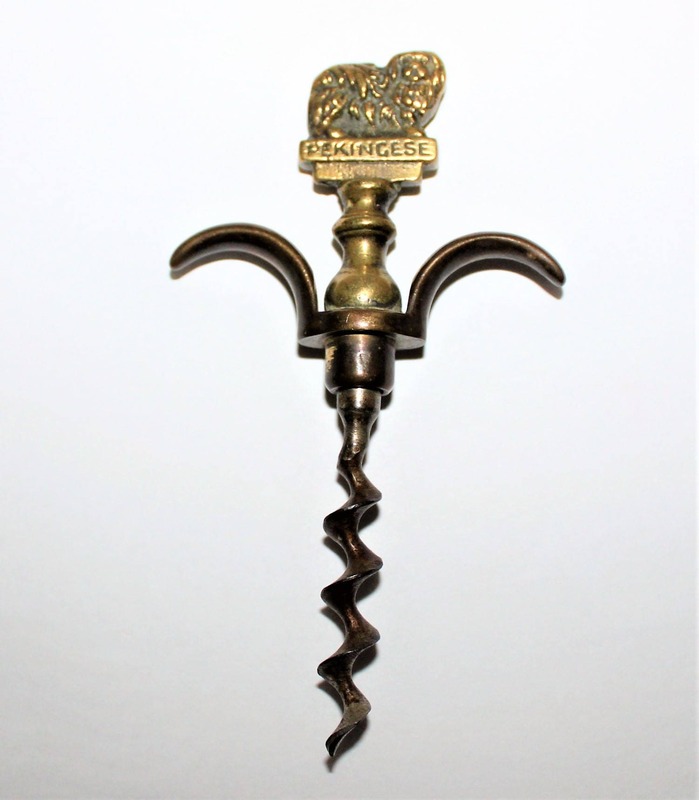 We have for sale an Antique English Brass Pekingese Dog Figural Corkscrew. 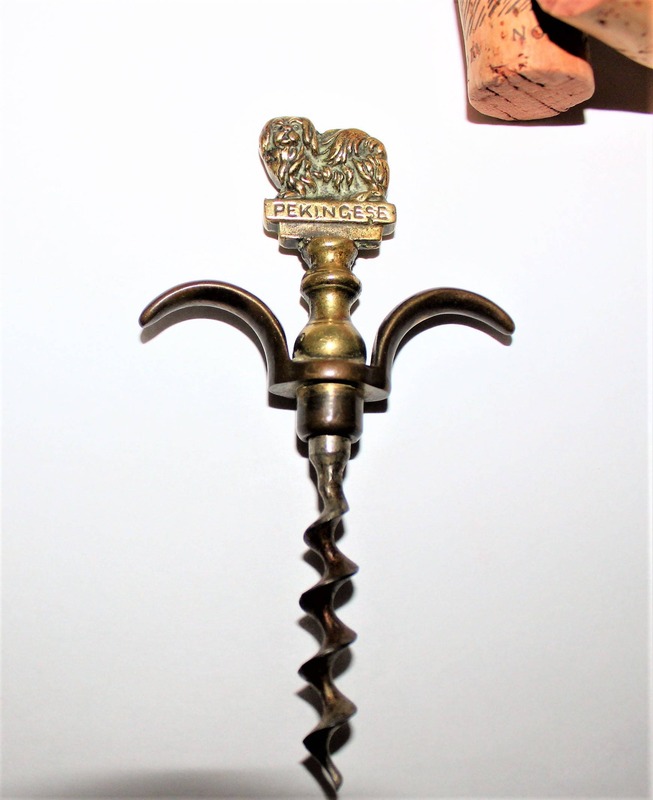 These are known as a two finger pulls corkscrew this one is adorned with a lovely solid brass Pekingese dog the figure is a two-sided image being the same on both sides. 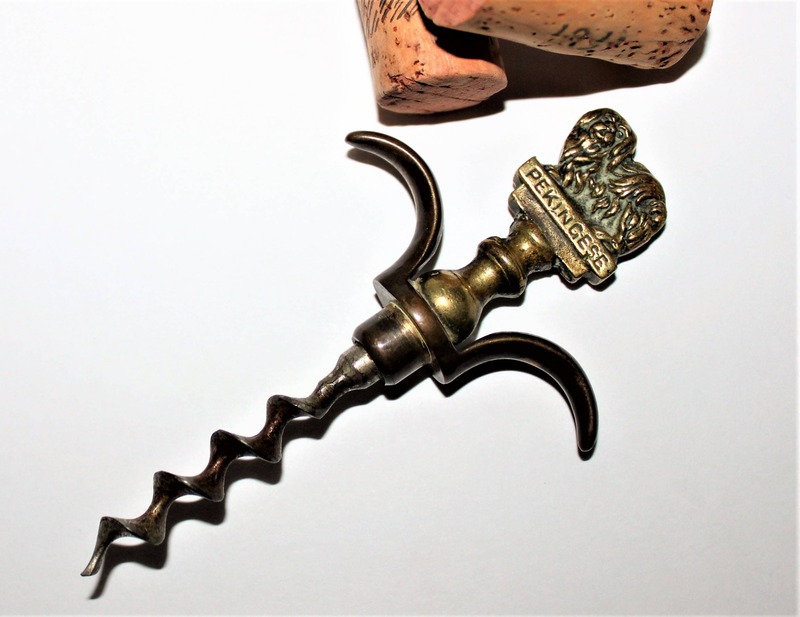 The corkscrew is made of solid brass upper with steel bladed worm (screw) the steel screw is threaded into the brass for a very strong hold. 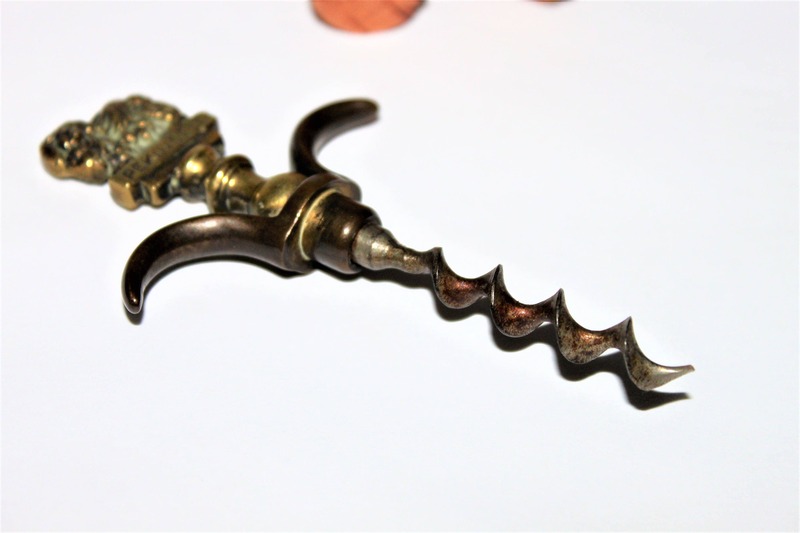 These were made from around 1910 to 1930s this one is closer to 1915 in age.